"Thanks to a stranger, George Williams, 33, has been learning a trade that once seemed out of reach. 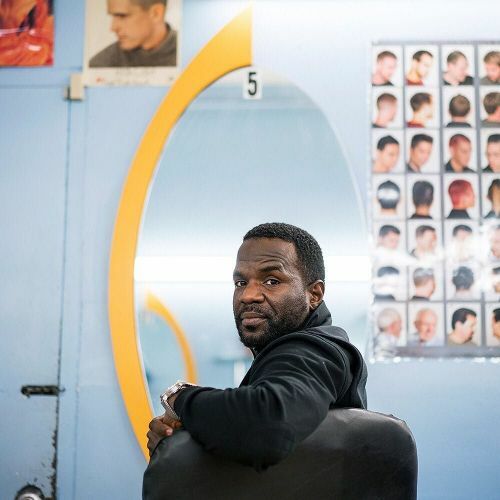 4 years ago, the aspiring barber was sitting in a cell at Attica Correctional Facility, a maximum-security prison, where he was waiting out the remainder of his 2- to 4-year sentence for robbing a pair of Manhattan jewelry stores. One night, a group of corrections officers savagely beat him, mistakenly believing that he had hurled curse words at them. When the story ended up on the front page of @nytimes, Donald Huber, a @usarmy specialist, read the article. Though they had never met, Donald started an online fundraising campaign, raising $5,800 for George by the end of the summer. "It was almost unimaginable," George told @nytimes. "I never thought people would care." @damonwinter photographed George at the Tribeca Barber School in Lower Manhattan." By nytimes on Instagram.